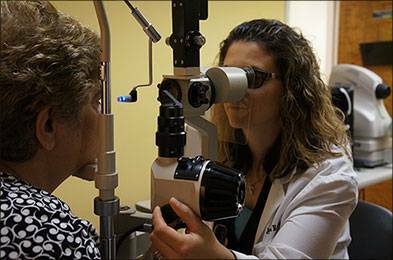 At 20/20 Eye Care, we equip our eye care centers in Middle Village and Mineola, NY with State-Of-The-Art (SOTA) optometry equipment to provide our clients with comprehensive and specialized services. Whether you need eyeglasses or contact lenses, corrections to an existing prescription, or have recently experienced vision loss or distortion our comprehensive eye exam will identify the source of your eye problem. During eye exams, we also dilated pupils which enables us examine the eye in 3-D under very high magnification. 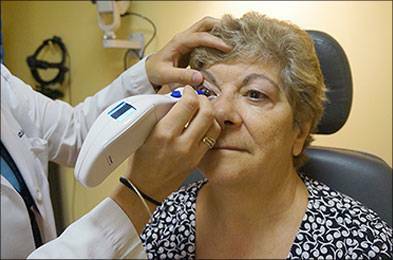 This test aids in diagnosing subtle conditions that affect the well being of your eyes. For busy patients who cannot have their pupils dilated, we’re still able to examine their retina using our Non-Mydriatic Retinal Camera, which takes accurate photos of the interior of eyes. 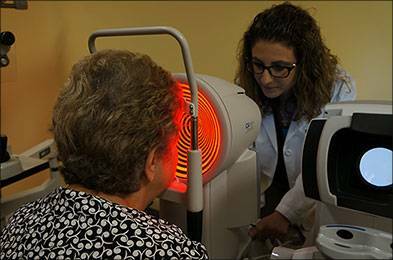 This unit allows us to diagnose and treat sight-threatening conditions by providing superior image quality and early detection. Patients that require treatment and management of glaucoma, diabetes, or macula degeneration are given optimal care thanks to our Humphrey Visual Field Analyzer and Optical Coherence Tomography (OCT) which helps us to monitor any subtle changes in central or peripheral vision. Our Corneal Analyzer lets us view accurate, high-resolution images of the anterior corneal surface. This unit makes evaluation of dry eyes and contact lenses reliable and easy. 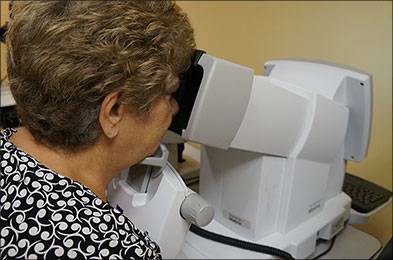 Most importantly, we ensure proper use of our optometry equipment by staffing our locations in Mineola and Middle Village with caring board-certified optometrists that have years of experience in treating more complex eye issues. Contact us today to discuss your eye care needs, or schedule an appointment online!